Who would've thought that after over 130 years of loyal service the basic design of the office stapler could be so radically improved. But that's pretty much the only way to describe the Align, which features a detachable magnetic base allowing you to drive a staple through almost anything, anywhere. Typically, if you wanted to manually bind a stack of pages together like a book, you needed a stapler with an incredibly long arm to reach the center of the page. The Align gets around this with a design that separates into two parts, but still stays perfectly aligned thanks to a strong magnet in the base so the staple gets properly bent. 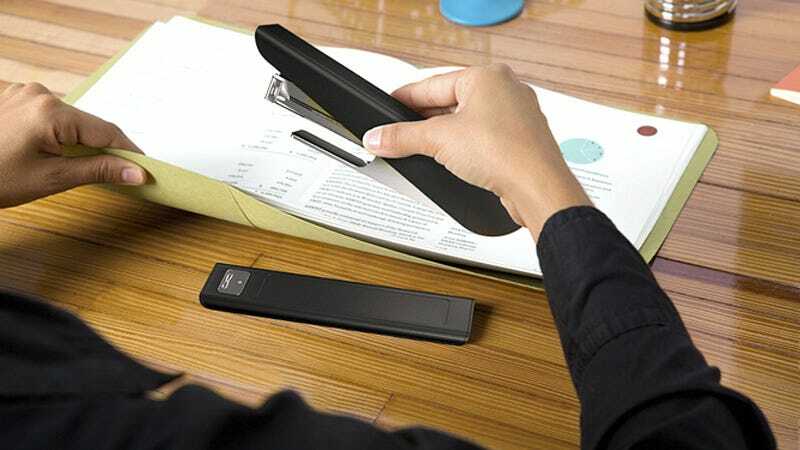 Its real beauty is how simple an upgrade to the classic design it is, because the new stapler looks pretty much exactly like a classic Swingline—but secretly it's far more useful. And Quirky promises it's coming soon with pricing information to be determined once it goes into production.